The use of quantitative approaches to understand and reproduce social and physical phenomena that take place in our societies and in our environments, or in a broader sense, in our urban areas, is already decades old and goes back to the dawn of the first post-WWII computers developed for academic and civil uses in the 1950s. Many researchers from all the research areas – pure sciences, geography, planning, economics, sociology – alone or within increasingly more interdisciplinary teams, developed models that were aimed to describe and to simulate both physical and socio-economic phenomena, ranging from deterministic to stochastic models, from simple statistical regressions to more complex models based on optimization and on complex heuristics. The research presented in the papers in this theme track – Modeling for urban and spatial analysis – cover a wide variety of subjects following a comprehensive range of approaches, mainly based on the use of robust modeling techniques and also on the development of innovative approaches. It gathers research from Switzerland, Spain, Italy, Mexico, USA, Sweden, among other origins. Many papers address location modeling applied to the analysis of urban form and structures, as Cerda el al. and Costa et al.. There are some papers on urban metabolism and flow modeling, such as Wiesmann et al. and Gonçalves et al.. The use of GIS as a modeling tool for urban phenomenon is also a topic of some of the papers, as Gama et al.. Morgado et al., Rozenblat and Lachance-Bernard et al. address network analysis and network complexity, another topic that is currently in the spotlight. Finally, some papers address the use of new mobile technologies and services to support planning processes and to help capturing the complex behaviors that underlie agents to interact in the urban arenas (Jiang et al. and Pereira et al.). This research is a good sample on how models of all types can be used not only as theoretical test beds for research but also to support planning processes on real world case studies. Optimization of urban resilience through spatial rearrangements, concerning urban form and urban design, is on the agenda of urban planning. The question of urban form and urban design to achieve sustainable and liveable cities goes far beyond simple prescription of design guidelines. The need for an integrated understanding of environmental, economical and social issues, through the knowlwdge of land use patterns, densities and of the characteristics of built environment, is a challenge for urban planning that is not compatible with generalizations or replication of certain success stories. Keeping in mind the specificity of each city different solutions are to be evolved, taking into account design, form, technology, infrastructure, for reprojecting actual cities in more sustainable ones. The “virtualization” of cities might be reflected, in the near future, in less space consumption through the implementation of many different digital processes (business, communication, transportation, education, etc.) and in a huge time contraction (work, business, trade, capital, etc.). These two elements, which are already part of nowadays urban world, can constitute themselves as two pillars of a future urban sustainability. Rethinking the new physical form of the city fitting the demands of its virtualization and incorporating these new concepts in knowledge urban planning theory and design is an emerging assignment. The papers presented within this theme track – Sustainability, Urban Form and Urban Design – represent a major contribute in the urban sustainable development debate. From macro to micro scale, good practices, sustainable models, decision support systems, and several other approaches were presented using case studies from different continents (with a prevalence of European and Latin America countries). A concern on energetic efficiency and environmental issues is evident in many papers suggesting new policies, technologies for construction, and models for measuring energetic efficiency. The impact of tourism on the landscape as well as the issues concerning its linkage with other urban functions has also been addressed by several authors. Whether through case studies or through a more theoretical point of view the papers presented explored key challenges of our times for urban planning. New technologies are a mean of representation and management of cities and territories. This representation is based on the spatial information theory that supports the modeling and simulation of spatial phenomena, the uncertainty of the processes, the generalization from case studies, the procedures that help the making of models follwing a GIS logic. Whether it is about information acquisition (digital cartography, digital image processing, land use classification), or multidimensional analysis and visualization of the territory or even monitoring, the use of new technologies in Architecture, Urban Design, and Planning, show the relevance of technology in representating cities and territories. The digital transposition (e.g. information forms transposed from paper or voice to digital) of many of the steps of common planning processes (analysis, diagnosis, public participation, governance processes, design proposals, etc.) lead the academia, organizations and public administration (central and local) in many Anglo-Saxon countries to a new proposal: the e-Planning. However, in reality, e-Planning is just a new concept that attempts to transpose these planning steps to digital plataforms, using the Internet. The theme Architecture, Urban Design, and Planning, gathers a highly relevant group of communications that can be summed up in “five fingers”. “Inventory finger”: The papers reflect the need to structure information acquired by modern means such as 3D laser scanning and satellite images. “Visualization finger”: The visualization, namely the 3D, is currently an effective way to promote public participation in plans. The third dimension and the possibility of its manipulation is a powerful computational representation of the city and of the territory. “Analysis Finger”: Shape analysis, urban and territorial processes, as well as the manipulation of spectral data, image segmentation, image processing, object-oriented analysis, and networks analysis (transport, social, etc.) are currently the starting points in the debate of the importance of geographic information in the organizations. “Modeling and simulation finger”: Computer Science has become a key research field for modeling spatial phenomena in Geography, Architecture, Engineering, and Town Planning. “e-Planning finger”: The conjugation of the previous “fingers” allows the construction of new electronic tools or computational representations of city and territories. Consenquently, virtual cities and territories become the new place for planning and for designing the real world. Perhaps this is the core concept that sets the foundations of our conference. The 2009 Revision of World Urbanization Prospects indicated that the world population is marginally more urban than rural, with the level of world urbanization having crossed the 50% threshold in 2009. In Europe 72.8% of the population is currently deemed to be urban compared to 79.6% in the Latin American and Caribbean region. The United Nations’ projections foresee these proportions increasing to 84.3% and 88.8% respectively by 2050. The demands on the supply of land for housing, the principal activity of urbanised land, are going to be enormous over the years to come. At the same time, there is a clear recognition now, right across the globe, of the need to treat land as a “limited” resource, in the same way as water and non-renewable energies, in line with the promotion of sustainable urban development. Introducing change and innovation in housing and land policy are essential factors to make a contribution to achieving the goals of sustainable development and improving social injustice across the world. The papers presented within this theme track – Housing and Land Policy – all proportion innovative evidence-based research carried out, or in progress, in Portugal, Spain and Norway in Europe, and in Brazil, Chile, Colombia and Mexico in Latin America. The topics relate broadly to urban regeneration and rehabilitation, and improvements to the quality of urban space in general; the morphology of different urban systems and forms of urban development; and bottom-up approaches encouraging residents’ participation in the elaboration of social housing proposals. The specific cases referred to include the rehabilitation of the historic core of Porto (Portugal) (Neto et. al. ), the environmental improvements deriving from the conversion of the former port area of Valparaiso (Chile) (Biere and García) and public intervention in some neighbourhoods of Rio de Janeiro (Brazil) (Pulici); and the marked contrast between the continued under-development of centrally located land in Norwegian cities, running counter to the public policies promoting compact urban development (Nordahl and Falleth) and the locational preferences of householders for detached dwelling residential development of a disperse nature within some peripheral areas of the wider metropolitan region of Monterrey (Mexico) (Fitch et. al.). These cases, together with those of the remaining papers, all make provide firm evidence of the achievements which can be reached in the public policy domain of housing and land, but also highlight the challenges which lie ahead for attaining truly sustainable urban development across the globe. The United Nations recognizes that good urban governance “is characterized by the interdependent principles of sustainability, equity, efficiency, transparency and accountability, security, civic engagement and citizenship”. The theme track named, “Governance, Competiveness and Innovation” is particularly well chosen for a conference like the 7TH VIRTUAL CITIES AND TERRITORIES. In today’s global world, cities play a major role, competing for reaching the top, being innovation a central keyword in this arena. All the papers presented under this theme track are a good example of the importance of these aspects and the multiple ways to tackle them. New models of governance, increasing the public participation process, with more collaborative approaches, provide better information to the citizens but at the same time create more responsibilities in the decision making process (Augusto). Knowledge is also other of the ways of improving competitiveness, helping to achieve more sustainable and efficient models of governance, exploring the technology, like video surveillance and all the constraints imposed (Rojas-Arredondo et al) The look for more competitive and efficient models of governance is also present at the cases of Venezuela (Giraud), searching for indicators that could assess the development processes and readjust the old processes to the new developments (Diaz); the look for bridges between governance and competitiveness in urban areas (Ajuriaguerra), finding interesting correlations that need to be explored in further detailed and in México, were the globalization presented new challenges for the reshaping of the cities (Gonzalez and Medina). All this scenarios and trends have also to be put in context of the different realities, were clearly the situations faced in Mexico (Verduzco) and Venezuela (Fariña et al) demand different solutions and strategies adapted to the local specificities from the ones in Portugal, Spain and France, (Florentino). Finally an important issue, that is present in several of the papers in an indirect way, is transportation, which is addressed, using the example of the Italian Railways System, revealing concepts like social justice and how important they can be for mobility and occupation of the territory (Panato and Cerasoli). All this papers and the reaming ones, promise very intense and lively sessions, with the discussion of new methodologies applied to different realities, producing better understanding of these phenomena and contribute for a innovation and better governance of cities in the competitive environment mentioned before. Land management is one of the key issues in planning practice in the beginning of the twenty-first century, as the idea that massive land consumption – the consequence of urban sprawl – is unsustainable both from the ecological and from the social and economic points of view. Land management and urban dynamics are theoretically bonded but this link has been ignored frequently in the majority of the planning contexts around the world. As land consumption becomes an issue for maintaining the vital natural and agricultural lands, particularly in the fringes of urban areas, there is an urgent need to discuss the existing legal tools to effectively promote balanced land management systems. At the same time, it is important to evaluate through case studies if the land management toolsets are effective. The research presented in the papers in this theme track – Land Management for Urban Dynamics – cover a wide variety of subjects following a comprehensive range of approaches. We can find some theoretical reflections on the need for comprehensive planning based on synthesis (Costa Lobo). Still on the theoretical side, some papers present innovative models for planning systems based on land management, as Ferber, or Hadjimichael. The problem of brownfield regeneration is also a topic that has some importance in the work presented, with some analysis from Switzerland (Tillemans et al.) and from The Netherlands (van der Krabben). Many papers address the status of planning systems in some European countries, as Ganau et al. and Havel et al. Other papers address some specific land management tools in force or in discussion, as Dupont. The quantitative approach is also present in the papers, with an analysis of the evolution of artificialized land along coastal areas (Romano et al.). Case study analysis is also one of the methods that are presented in the papers of this theme track, considering the influence of infrastructures (Vásquez et al.) 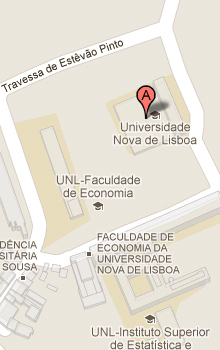 and highly specialized public facilities, as universities (Miralles-Guash et al.). This diversity of research topics in land management and urban dynamics gives a good picture of the complexity and the importance of these issues in current planning theory and practice.